Today we catch up with nursing sister, Daphne Arenstein, who has been with Hospice Rustenburg for the past 18 years and her journey getting to this point has been a real inspiration. I remember the day my parents came to me and said: “Daphne, you will need to leave school and find work as we can no longer cope financially.” I was in grade 10 at the time and had no idea as to what career I wanted to follow. This was a hard pill to swallow as so many questions went through my mind at the time but out of respect for my parents, I decided to do what was best. At the time a close friend of mine told me about a nursing course she was planning to do at the CADET school of nursing in Pretoria and because I had no idea as to what I wanted to do, decided to join her. After completing the course, I found myself working as a midwife at the tender age of 17. I then decided to move back home to Zambia where I worked at a pharmaceutical company for 9 years. After spending 14 years in Zambia, I took a break from nursing and moved to Rustenburg. This was quite an adjustment for me as I struggled with the language (Afrikaans) as well as not practising nursing. I eventually found a job in a boutique which was really exciting and at the same time also helped enhance my Afrikaans skills, but eventually this business closed down and had to find alternative work. My second job lasted 9 years at a jewellery store and at my 3rd job I found myself at an Optometrist. I could see how the transition was moving slowly towards the medical sector and maybe this was a sign that I needed to get back into nursing? It was during my time working at the Optometrist that I heard about hospice for the very first time. I was told by a friend that a lady by the name of Jenny Arlo, who at the time worked for the CANSA Association of South Africa was planning to start her own hospice. This was quite interesting and it was at this time that I wanted to find out more. After work one day, I decided to pay this “hospice” a visit and to my surprise, what I had in mind and what I saw was very interesting. Jenny, together with a handful of volunteers and home-based carers were working from their son’s bedroom in the home she was living in. I saw the passion within everyone and wanted to be a part of this team. It was during this time that I started volunteering part time after my normal day job at the optometrist. 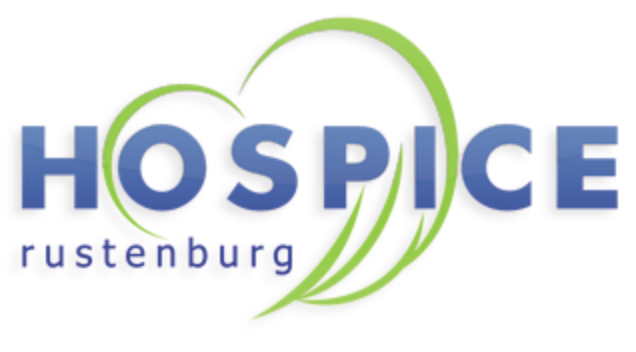 Although the development of this hospice was in its very early stages, Hospice Rustenburg had a mentoring hospice (Sungardens Hospice) who supported them through donations of wheelchairs and beds. I could see that this hospice would soon develop into something big. We would sell second hand clothing outside the home to generate income but also to raise awareness of palliative care in the community. As time progressed, I started getting more involved with hospice to an extent that I left my job at the optometrist and committed myself fully to hospice. Jenny started recognising the potential in me and because she knew I had a nursing background, suggested I do a palliative care training course in Pretoria. I was a little hesitant as I was 62 years old at the time and my first thought was “who has the capacity to study at this age and is it possible to come back into nursing after not practising for 30 years?” Anyway, I decided to do it anyway and passed the exams! I was now a Palliative Care sister and slowly (under the mentorship of Jenny) started visiting patients at their homes. I started becoming comfortable and confident in my new role and did it with pride, realising that this is my purpose in life. Jenny then left hospice and although I had big shoes to fill, I persevered. 18 years later and I am proud to be part of the hospice family. Daphne enjoys playing tennis, gardening and belongs to a book club.